Come see this beautiful light, bright 2 bed, 2 bath condo! All of the rooms are generously sized with high vaulted ceiling! 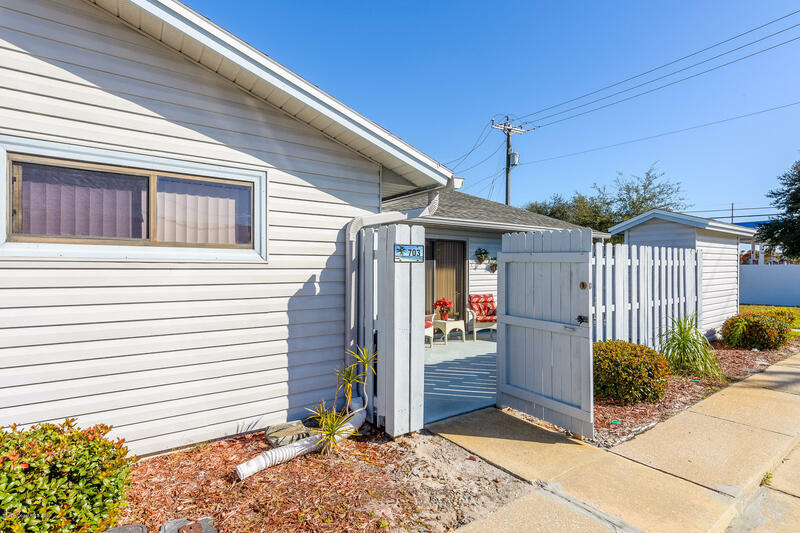 This end unit has a fenced entry courtyard & a storage shed. Enjoy the beautiful heated community pool just steps away! Washer & dryer included. New roof & gutters in 2018. Newer in the last 5 years includes; AC, water heater, carpet, kitchen counter tops & fence. Furniture sold separate. Walking distance with sidewalks to shops and restaurants.